The public is invited to the grand opening of the Harriet Tubman Underground Railroad Visitor Center March 11 and 12. 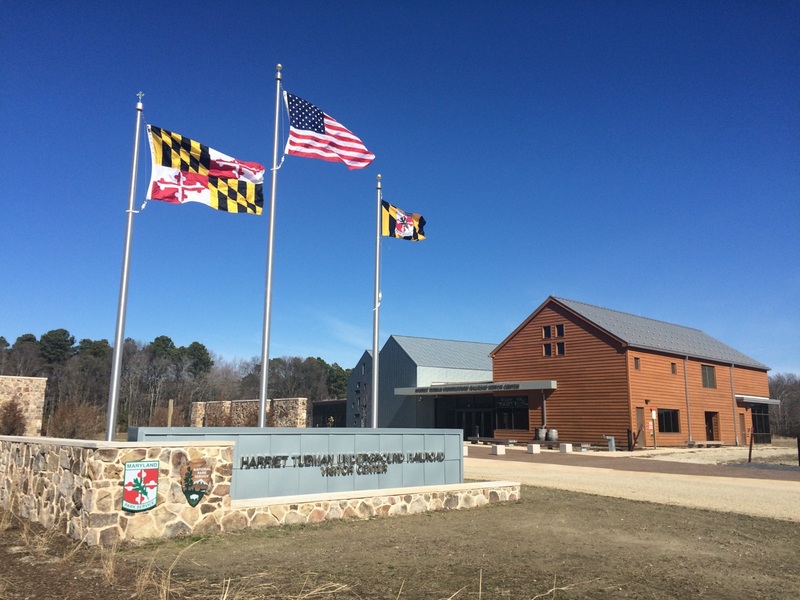 The National Park Service and the Maryland Park Service have teamed up to provide special family-friendly Grand Opening events and activities at the site and a first look at the new visitor center. It is located at: 4068 Golden Hill Road, Church Creek, Maryland. All events are free. 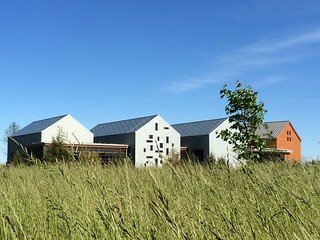 The Visitor Center is the premier feature of the national and state park and includes state-of-the-art, green elements such as bio-retention ponds, rain barrels, and vegetative roofs. It houses an exhibit hall, museum store, information desk, research library, and restrooms. The exhibit features information about Harriet Tubman’s role as a conductor on the Underground Railroad and her work as a freedom fighter, humanitarian, leader and liberator. Events on Saturday and Sunday will include programs with Harriet Tubman Re-enactor Millicent Sparks; Harriet Haikus & Creative Writing Workshops with National Park Service Centennial Poet Laureate Dr. Sonia Sanchez; Historian Tony Cohen of the Menare Foundation leading simulated Underground Railroad journeys around the legacy garden that reveal escape secrets used by Tubman and other freedom seekers. Park Rangers will provide talks on topics such as why Araminta Ross changed her name to Harriet Tubman, what skills made her a successful Underground Railroad conductor and the importance of community to enslaved people. Children’s activities will be offered from noon to 4 p.m. both days including “Games Enslaved Children Played,” about the significance and history of games that enslaved children played and create their own piece of art to remember the park’s inaugural weekend. Junior Ranger activities are also available. Participants get a souvenir hat while supplies last. On Sunday, Tubman biographer, Dr. Kate Clifford Larson, the visitor center’s historical consultant, will present a talk and book signing for Bound for the Promised Land: Portrait of an American Hero. In addition, architect Chris Elcock, of GWWO, Inc., Architects, will present a talk about the hidden symbolism in the Visitor Center building and surrounding landscape. “The story of Harriet Tubman and the Underground Railroad is one that captivates people of all ages and backgrounds,” said Josie Fernandez, acting superintendent of the Harriet Tubman Underground Railroad National Historical Park. Free Shuttles from Cambridge: For visitors coming to the site through Cambridge, Maryland, free parking and a shuttle system is available at 410 Academy Street. From Route 50 take Maryland Avenue to Academy Street following signs for “Shuttle Parking.” The shuttle will operate from 10 a.m. to 4 p.m. Saturday, March 11 only. The City of Cambridge is running these free shuttles to the Visitor Center. The Partnership: The Maryland Park Service and the National Park Service have partnered to manage the Harriet Tubman Underground Railroad Visitor Center. The new visitor center, recreational pavilion, and legacy garden are located within the 17-acre Harriet Tubman Underground Railroad State Park and the Harriet Tubman Underground Railroad National Historical Park. Located along the Harriet Tubman Underground Railroad Byway, this location was chosen for the park because the view is preserved by the surrounding Blackwater National Wildlife Refuge. With few remaining structures from Tubman’s time in the Choptank River Region, the landscape is a large part of the visitor experience. For information on how to visit go to nps,gov/hatu or dnr.maryland.gov/publiclands/pages/eastern/tubman.aspx.